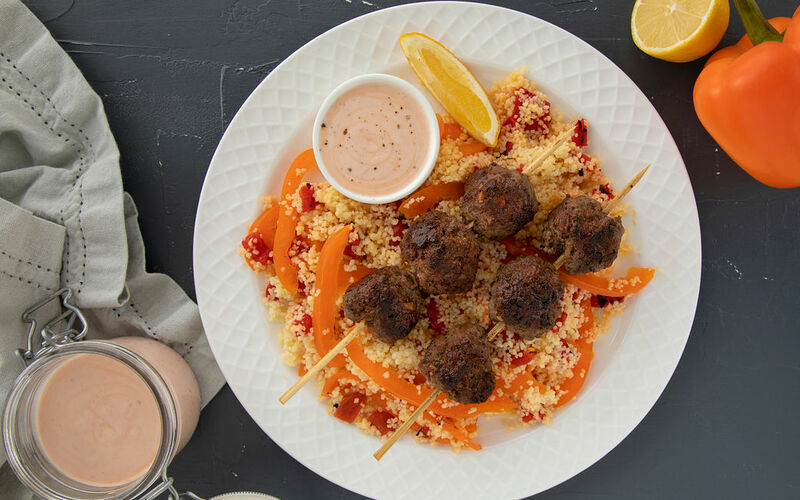 A rich kefta beef served on a bed of flavourful couscous for a tasty experience that will blow you away from the very first bite! Preheat BBQ (medium-high heat) if use. 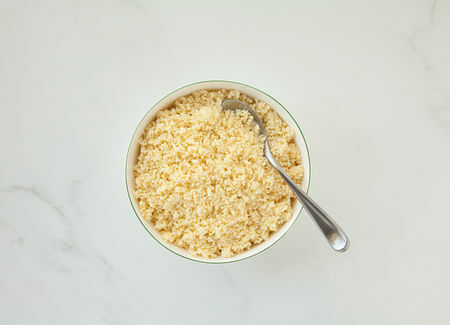 Place the couscous in a bowl and pour boiling water over it until it surpasses the couscous by 1 cm. Cover with plastic wrap and leave for 5-10 min. Once cooked, fluff with a fork. 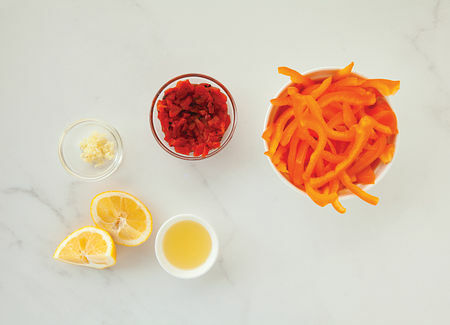 Slice the orange bell pepper in strips. 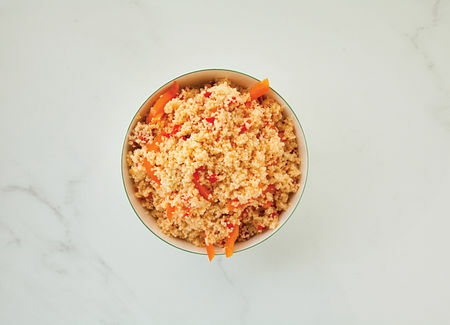 Coarsely chop the roasted red pepper. Mince the garlic. 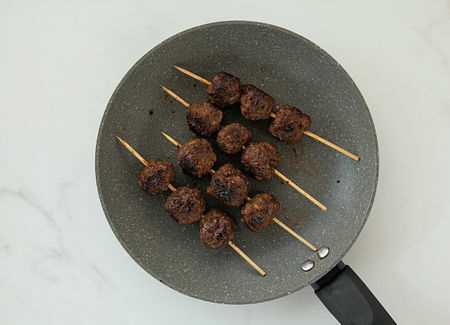 Mix Shish Kabab spices, garlic and ground beef in a bowl. 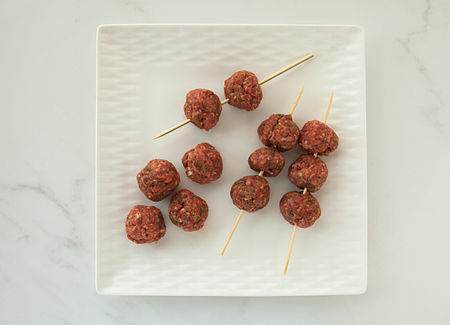 Form about 6 balls per person and thread onto skewers. Heat vegetable oil in a grill pan over medium high-heat (omit if cooking on BBQ). 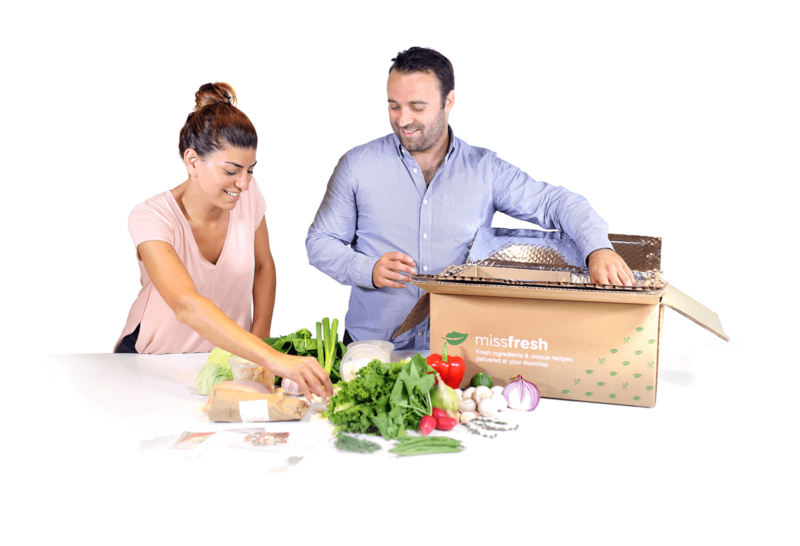 Add the skewers and cook 10-12 min, turning them often. .
Add both peppers, the juice of ½ of the lemon and the olive oil to the couscous. Salt and pepper to taste and mix well. 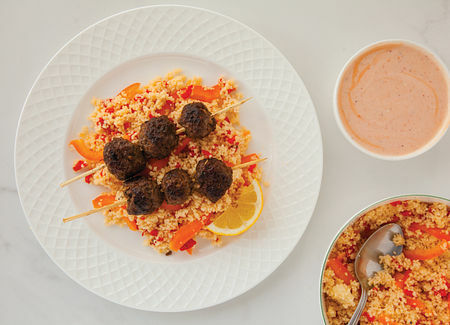 Serve the keftas on a bed of couscous with the yogourt and harissa sauce (pre-mixed) and a lemon wedge. Enjoy!